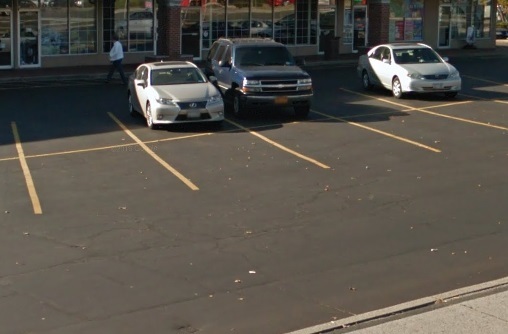 Oyster Bay Parking Lot Paving - DuMor Construction Inc.
A parking lot is the first impression for customers, which is why business owners contact DuMor Construction for all their Oyster Bay asphalt paving and parking lot maintenance. 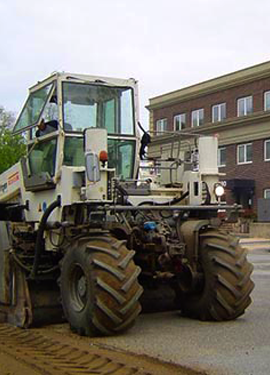 We have been the leaders in the asphalt industry for over thirty five years. We have the experience and knowledge to provide the highest level of services possible. 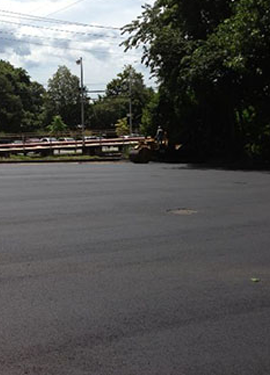 We provide a wide range of asphalt services to meet the needs of our customers in Oyster Bay. We also provide site lighting, line striping, and know all of the relevant ADA compliances. Whatever the job might be, we can get it done right. Oyster Bay has eighteen villages and eighteen hamlets within the Oyster Bay town limits. The population in the town is 293,214. The area was first inhabited by indigenous people. In 1639, the Dutch West India Company purchased land from the Native Americans. The town got its name due to the best oysters that were located here, so the Dutch called the town “Oyster Bay”. The town has a rich history that keeps visitors coming year round. The Oyster Bay Railroad Museum is dedicated to the railroad history in the town. The museum has railroad memorabilia, displays that are interactive, a museum store, and during the summer months visitors can pick up the “Spend a Day in Oyster Baby” to get discounts on the dining, shopping, and other attractions in the city. The September 11th Memorial is located on the bayside, and honors the men and women in the town that perished on September 11th. The memorial has a steam beam that was in the World Trade Center destruction, benches, a flag, and granite around the memorial with names of each person from the town that passed away on that tragic day. If you are coming to the town you will definitely want to stop by the memorial. The bay is ideal for boating, fishing, kayaking, and swimming. The bay is always a favorite location for residents and visitors due to the beauty and activities that can be found at the bay. Along the bay is several restaurants and shops where visitors can get a bite to eat or do some souvenir shopping. This town has everything that visitors are looking to do when they are on vacation. 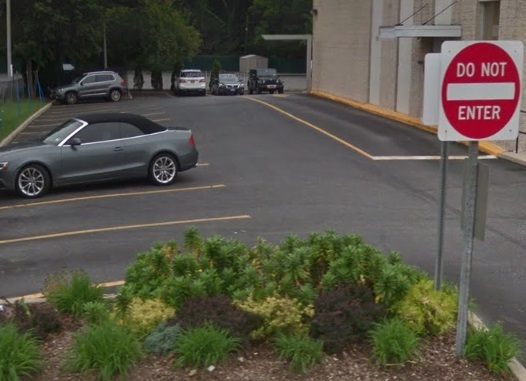 DuMor Construction is the commercial sealcoating specialist that business owners contact for their parking lot. 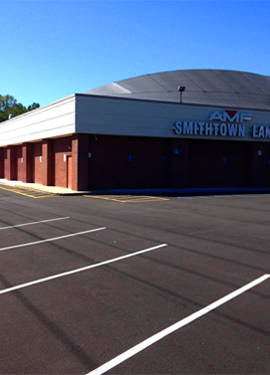 We can repair, sealcoat, install, and maintain all parking lots. 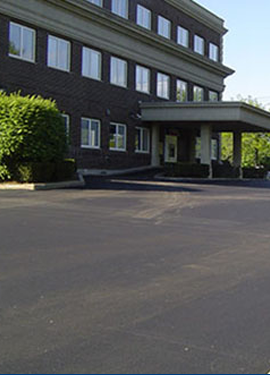 Contact us today and let us get your parking lot back in tip top shape. Not long ago we got a call from a past client that wanted to get all of their Oyster Bay asphalt repairs and maintenance done over the summer. They had three lots that needed attention. The first one required a saw cut patch and replace method on a big pothole near the center of the lot. The other two just needed some basic crack sealing. The crew arrived at the Oster Bay location. The crew started the saw cut in the asphalt where the pothole was located. The crew cut a complete square around the pothole and the cut was several inches from the edge of the pothole. The crew removed all the debris from the area that was cut, then they removed all the loose sand and debris with a broom, so the cut was completely free of all debris. The crew then applied fresh asphalt into the hole that was cut. The fresh asphalt was spread evenly into the hole, then the crew packed the asphalt firmly into the hole. The crew returned the following day and began cleaning the other two parking lots. The crew needed to clean the entire parking lot thoroughly so they could remove any oil, chemicals, dirt, and debris. The crew then began checking each of the cracks to make sure that no liquids entered the sub base of the asphalt, which there was none, then they cleaned out each crack to remove all debris. Once they had the cracks cleaned they began filling each crack with fresh asphalt, then they packed the asphalt firmly into each crack. Once all the cracks were filled in that parking lot they started on the next parking lot. The crew did the same steps with this parking lot. The crew cleaned the parking lot thoroughly from all debris, then they cleaned and inspected each crack. They filled each crack with fresh asphalt, then they packed the asphalt firmly into the cracks, so no liquids would enter the crack again. The crew was able to have all of the parking lot repairs and maintenance performed within two and a half days. The crew always made sure that they left the job site cleaner than when they arrived and every repair was done successfully. Our crew knows that we have a reputation to uphold as we have been called the number one Oyster Bay asphalt contractor and we are proud to be named that by our past and present customers. There is no job that our crew is asked to do that they don’t give it their all. Our crew looks forward to knowing they did an outstanding job!